Jo Knowles, Where the Heart Is . Candlewick Press, 2019. 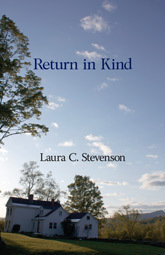 As she turns thirteen, Rachel is unquestioningly certain that home is where the heart is: she loves the old farmhouse where she lives with her realtor father, librarian mother, little sister Ivy, and rescue pony Rainbow. 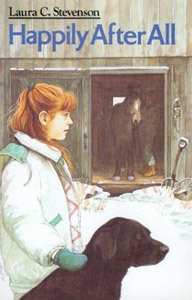 Both girls understand that money is very short, but they have a large garden, berries, and a tangle of bittersweet vines that have given the place its name: Bittersweet Farm. Until this year, they have also had access to the field across the street, where Rachel and her friend Micah Sasaki have gone sled coasting every winter. Unfortunately for the kids, it has been bought by a wealthy couple who have built a house and barn combination that is everything Rachel's family's place isn't: new, beautifully kept, and filled with a variety of animals. Rachel gets paid for taking care of those animals while the neighbors are away, but much-needed money doesn't make up for the change in the scenery. The loss of the sledding field is only the first of three unforeseen changes that Rachel faces. The second is that the kids in her class are suddenly asking if she and Micah, who have been best friends since they were six, are "an item." Are they? Micah would like to be, but Rachel tells him she isn't sure how she feels about him—or any other boy. As the summer progresses, their friendship wavers under pressure of beach afternoons with some of their classmates. Rachel, already embarrassed by her secondhand tank suit and shabby clothes, becomes jealous as Micah flirts with another girl, and she allows a boy to kiss her, just to see if she feels anything. She doesn't—but Micah becomes upset and angry. While they are still working their feelings out, Rachel is suddenly faced with the third unwelcome change: the "financial problem" that has made her parents argue all summer is foreclosure. Within weeks, they have to leave Bittersweet Farm, sell most of their furniture, move into a shabby apartment building, and—worst of all—find a new home for Rainbow. The strongest aspect of this book is Rachel's voice. Knowles sensitively catches her confusion about Micah (who is extraordinarily supportive until he feels she has betrayed him, and even after that). Her fury at her parents for losing the house is also well portrayed, as is her effort to keep her little sister from being hurt by their parents' arguments. These strengths support a plot that shifts from what begins as a book about young teens' difficult sexual choices but becomes, in its second half, a story about a family trapped by diminishing budgets and a real estate slump. 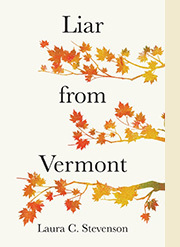 An adult reader may wonder how it is possible for Rachel's father to deny coming foreclosure, given his profession, but young teens will fully sympathize with Rachel's bewilderment as she loses a lifetime of certainties. And there is everything to admire about the sturdiness with which she finally manages to stay positive in the face of a future in which she no longer knows where her heart is.